Among these packaging dedicated to olive oil, several are particularly misleading! Of course some packaging testify to the desire to provide this product with luxurious tins by taking codes generally intended for other types of products. Do not be surprised to find a bottle of olive oil in a silky canvas bag or in an elegant box such as a precious wine. Surprising also, packaging in the form of perfume bottles that push mimicry to offer a pear to vaporize the liquid! Note a package that seems initially adapted to cigars but which remains absolutely magnificent. The shapes are extremely varied, often surprising and show a beautiful overall creative spirit. This selection plays the card of surprise by offering packaging that looks much more like those for cigar, perfume or wine. In addition, the desire to give refined peculiarities to olive oil appears clearly. This phenomenon is also widespread for lots of products and can easily be explained: the more luxurious it seems, the more consumers will think it is a quality product. The price can therefore increase. When choosing olive oil packaging, it is necessary to take it into consideration that this is not for a product belonging to a single category, but a luxury oil that has variable usages: food, cooking, cosmetics, industry… For each of these functions there can be lots of creativities applied as to bring the best suitable packaging. And people may get attracted by a luxury packaging in terms of individual consummation. This explains some sort of trends: thin bottle with mild colored tickets, a very elegant design, but not favorable for capacity. Still, people would be happy to pay for that because in some cases minimum = good quality. Tube packaging box and olive oil bottles are born companions. 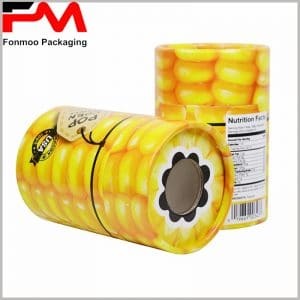 A good tube packaging box can of course protect the bottle from any collision or drop, and bring an additional decoration to the product. You can choose some kind with open window to let customers see the product inside directly. What’s more, a tube packaging in the exterior side can be a good “expansion” of content, you will not be happy to trouble you customers with lots of words and pics on a little etiquette attached to the bottle, but on the surface of cylindrical box outside, you can put lots of information and that can even be pleasing to customers. Now, if you are ready to launch a project with good olive oils, you can really consider getting you products a good bottle, of course, and an adorable tube packaging box outside to boost your sale.